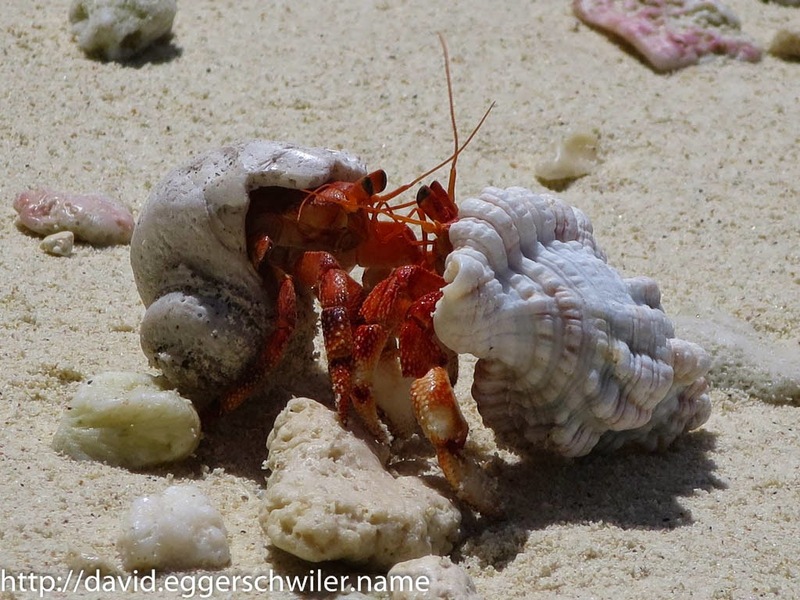 Christmas Island is not the only Australian Territory in the Indian Ocean. 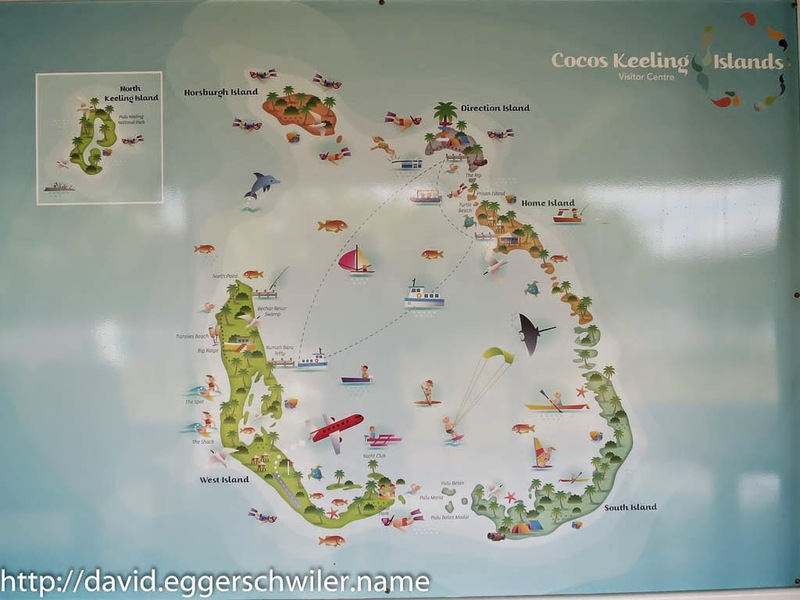 There are also the Cocos (Keeling) Islands, so named to distinguish them from the Coco Islands near Burma. It couldn't be more different from Christmas Island even if they tried. 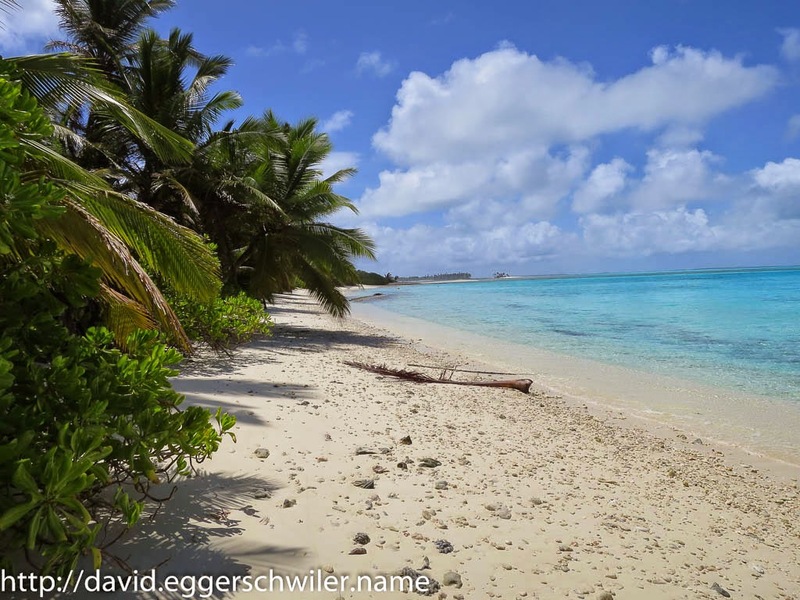 The islands are completely flat, with the highest elevation of 5 meters, and feature almost endless sandy beaches (at least during low tide). Due to unfortunate circumstances I was not able to dive here, because the only dive shop on the islands was on vacation himself! So I did everything else there was to do on the islands which meant a lot of snorkeling. The most interesting snorkeling is The Rip at Direction Island, a small channel where the water flows into the lagoon, making for perfect drift snorkeling with many fish hanging in the current. 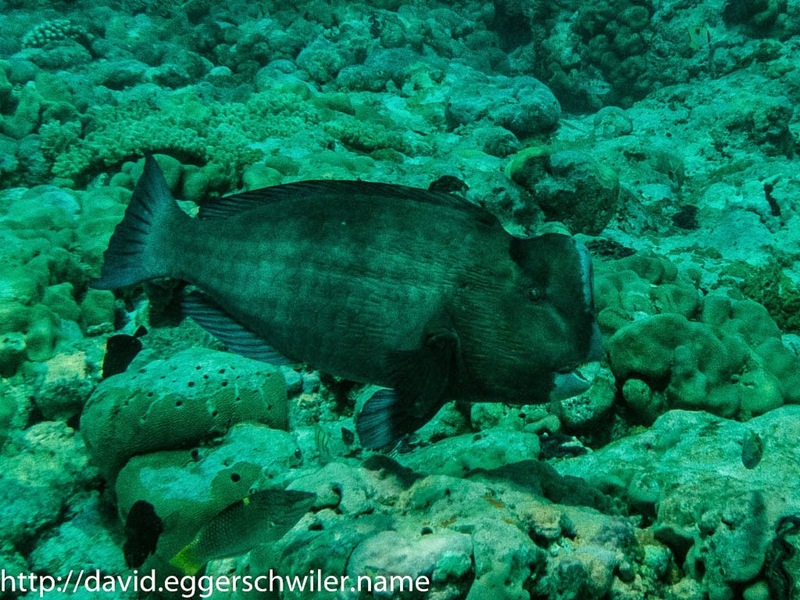 My personal highlight there was a clear picture of a big Doubleheader Parrotfish. 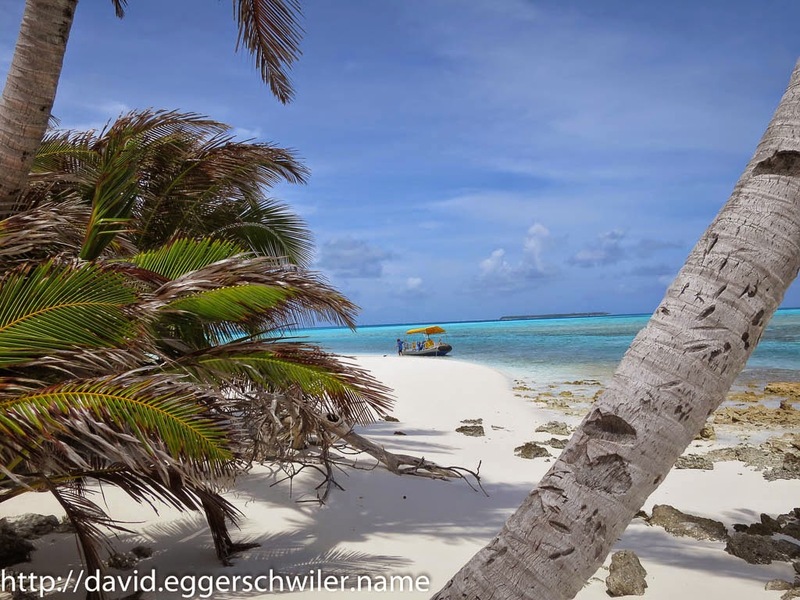 On Monday I joined Geoff's Glass-bottom Boat Tour. On the way to Prison Island we spotted a couple of humongous Green Turtles resting on the bottom of the lagoon. 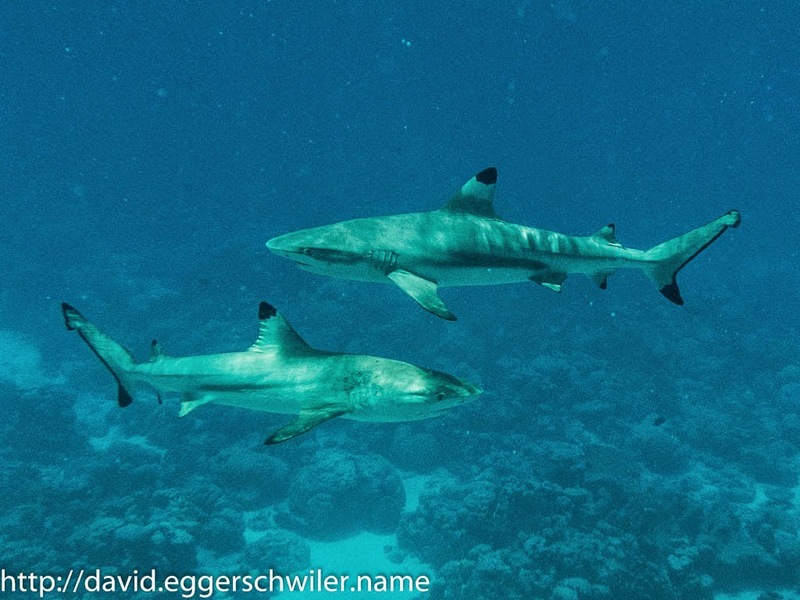 On Prison Island we had a short stop and observed juvenile Blacktip Reef Sharks surfing the waves. Friends I made on Christmas Island highly recommended the Motorized Canoe Tour. Due to the tides we started at 6am and after a short drive we had an extravagant Champagne Breakfast on the beach. 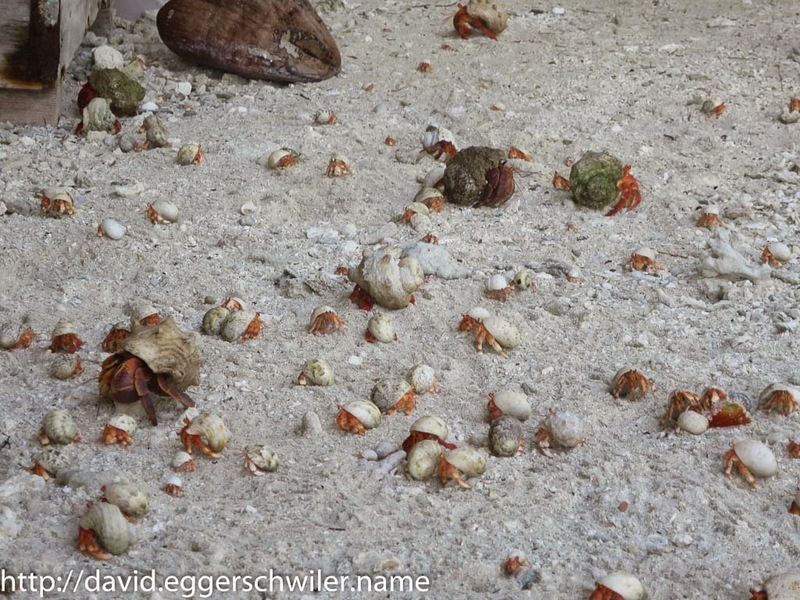 As soon as everything was served we saw an invasion of Hermit Crabs! 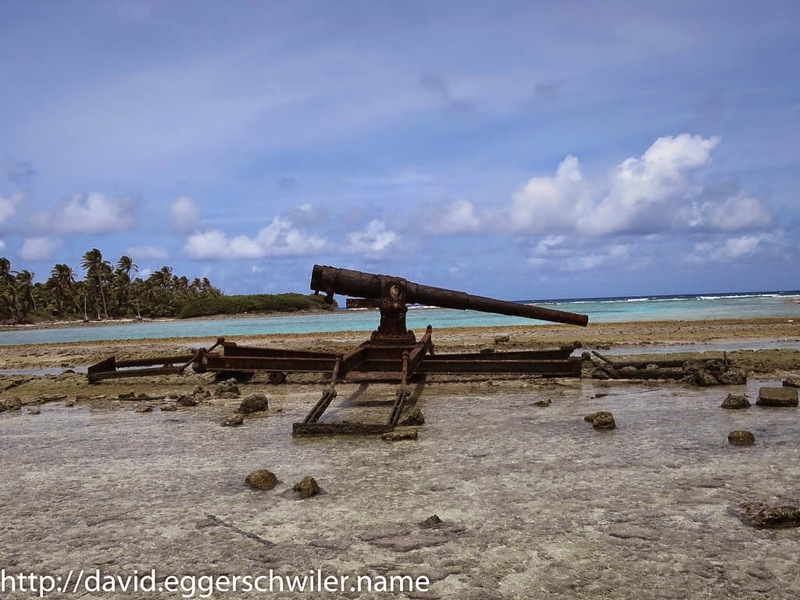 The Canoe Tour took us around and onto South Island, where we climbed to the highest point in the atoll, where the leftovers of a WWII lookout could still be seen. 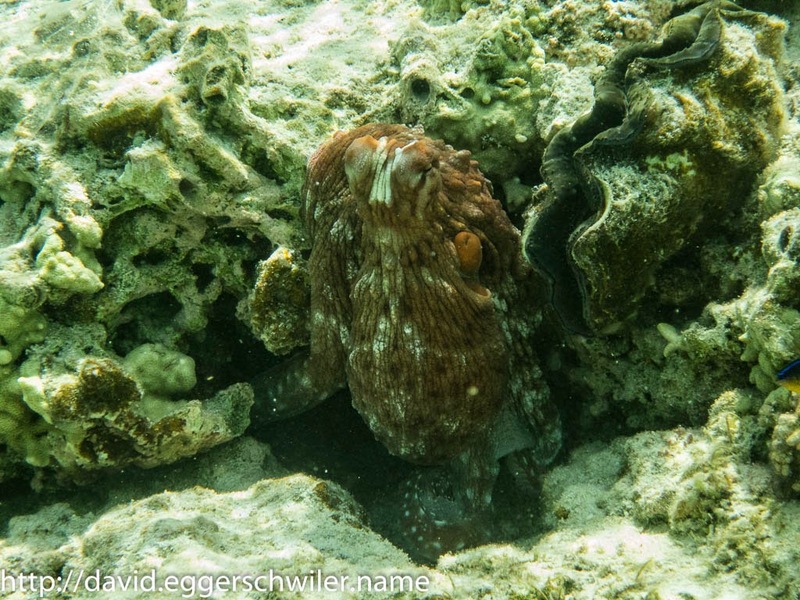 Our tour ended with snorkeling around Pulu Maria, where we spotted a very active Octopus. To round up my experience of these islands I also joined a Cultural Tour to Home Island, the place where the Cocos-Malay population lives. 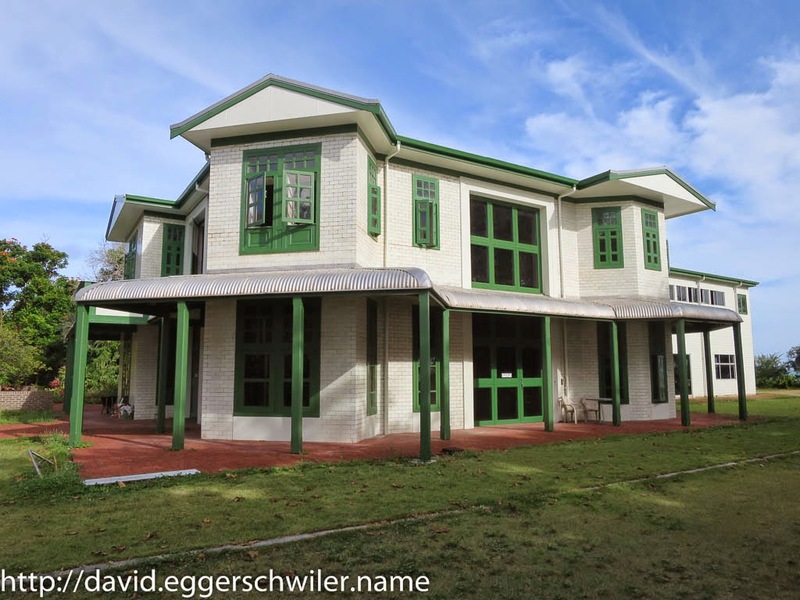 There we saw the house of former owner/"king" of these islands, the Clunies-Ross estate. 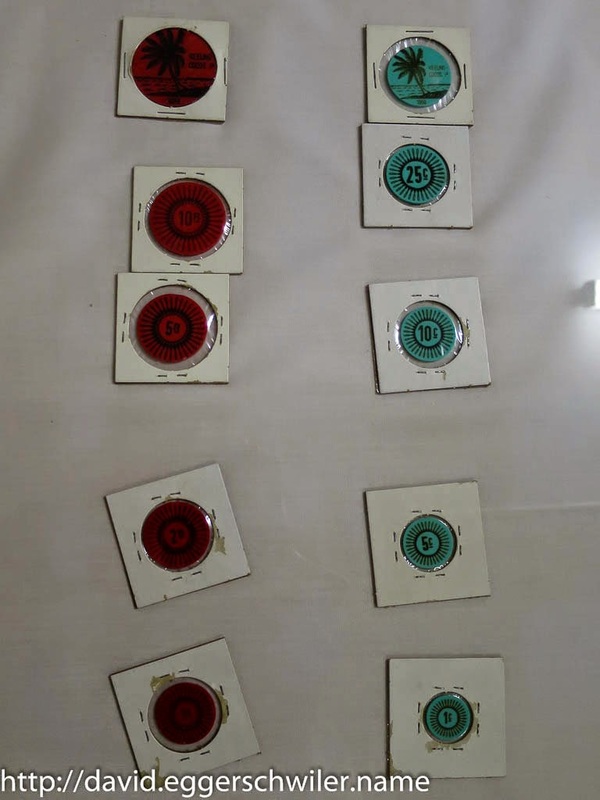 And in the village museum we saw the plastic money that Clunies-Ross made to pay his "employees". Visiting these islands was definitely an interesting experience. On West Island, where a small Australian expat community lives and all tourist activities are located, exists only one buffet-style restaurant, for which you need to sign up on a Blackboard before 4pm. 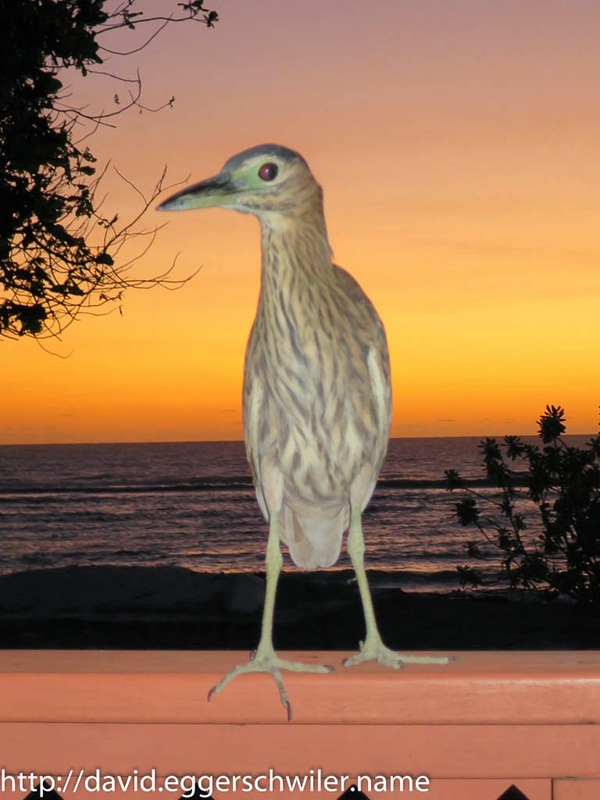 During dinner on the beachside a Night Heron regularly visits hoping to steal some food.